Mohena Kumari Of *Yeh Rishta Kya Kehlata Hai* Just Had A Secret Engagement Bash In Goa! You must be pretty well aware with the character of 'Keerti' from Yeh Rishta Kya Kehlata Hai. The actress Mohena Kumari Singh may have exited the show in real life but the trio fame of the daily show, Kartik (Mohsin Khan), Naira (Shivangi Joshi) and Keerti seem to be having tons of fun off the sets. You want to know why? Keep reading below! Mohena Kumari who also happens to be the princess of Rewa recently got engaged to beau Suyesh Rawat in Goa. 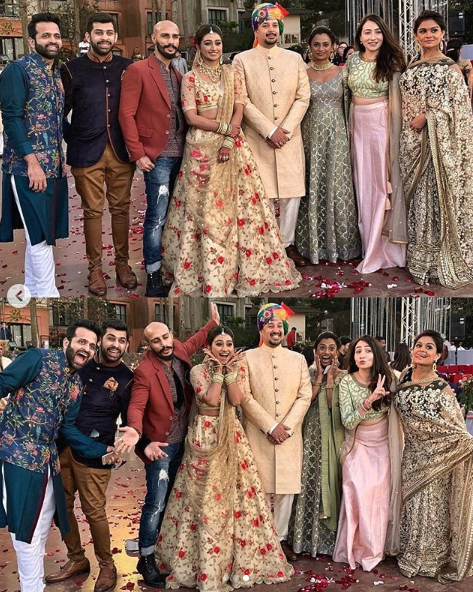 The engagement ceremony was held at a lavish beach setting and her closest buddies from the show 'Yeh Rishta Kya Kehlata Hai' flew down to be a part of her special day. A fan club of Mohena Kumari was quite generous to us for sharing all the moments from her engagement bash. We almost thought it was the wedding but guess we'll have to wait a little longer for that! Mohena wore a gorgeous gold floral embroidered lehenga while her to be husband Suyesh was seen twinning with her in a golden bandhgala. 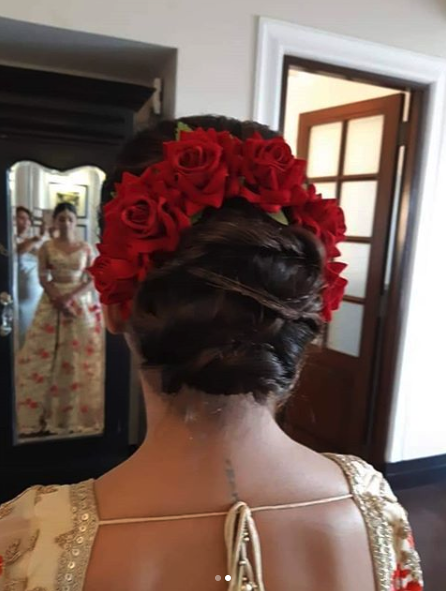 The bride-to-be tied her hair in a messy bun which was decorated with pretty red flowers, which is a perfect look for a beachside affair. The engagement party took place at the Taj Holiday Village Resort. Apart from Mohsin and Shivangi, we saw a few other co-stars from the show as well. 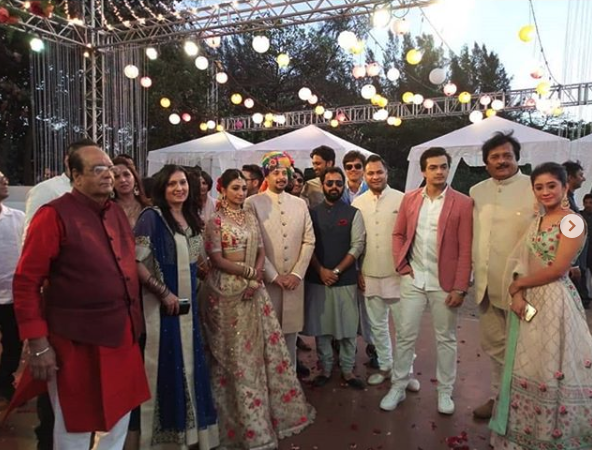 Naksh (Rishi Dev) and Gaurav Wadhwa (Shubham) were also a part of their big day. The engagement bash was nothing less than perfect we would say! Right from Mohena walking down hand-in-hand towards the stage with her father to the groom getting down on one knee while exchanging rings. It looked like a dreamy engagement affair and we are getting the princess feels while looking at the photos! There are a plethora of photos and videos of the bride, groom and shaadi guests rocking at the party but we couldn't stop ourselves from sharing this video of the bride herself. You can see Mohena dancing her heart out in the video and we are so happy for her! 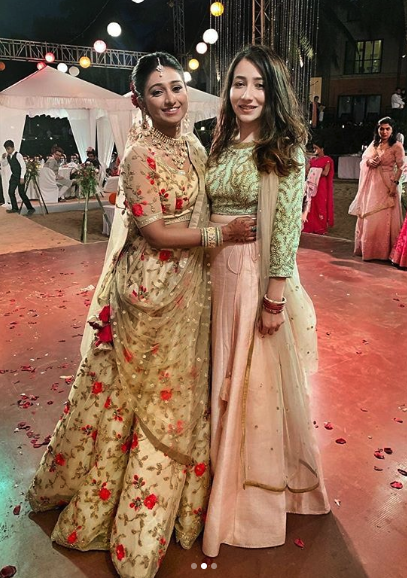 Another Insta video was shared by Mohena's friend, wherein we can see her sharing her last-minute excitement and fear before her engagement with the love of her life! The bride's choreographer friends Shampa and Kruti Mahesh also came down to attend the ceremony in Goa. Mohena Kumari is the first girl from the royal clan to have participated in a reality show. She debuted on the small screen with Dance India Dance in the year 2012. Later she became a part of the tv show which happens to be the longest running Indian television serial. With the pre-wedding ceremonies looking like this, we are eagerly waiting for the princess look of Mohena on her wedding day!